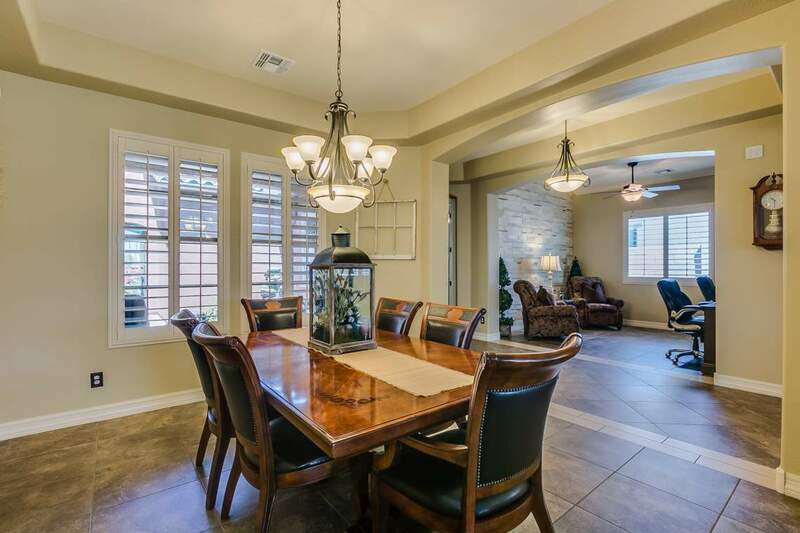 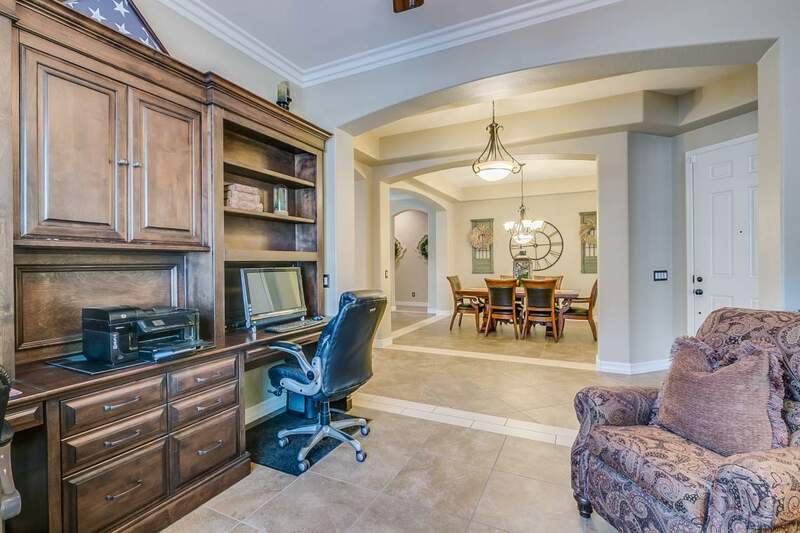 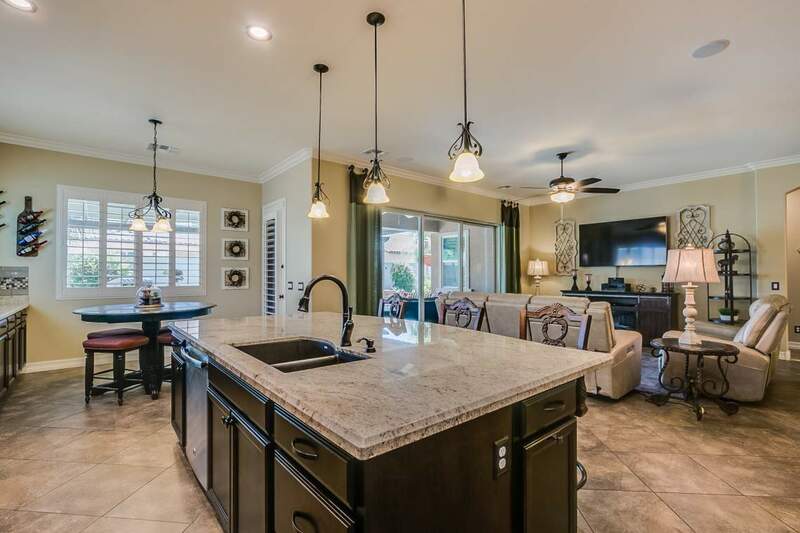 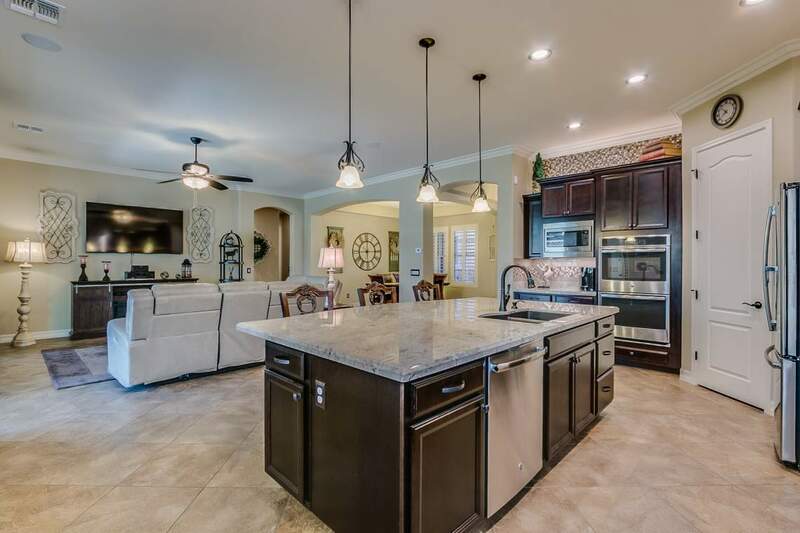 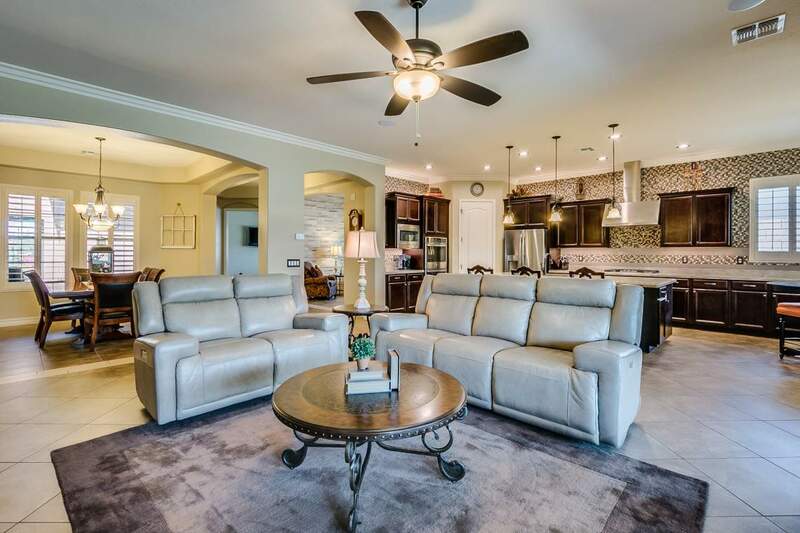 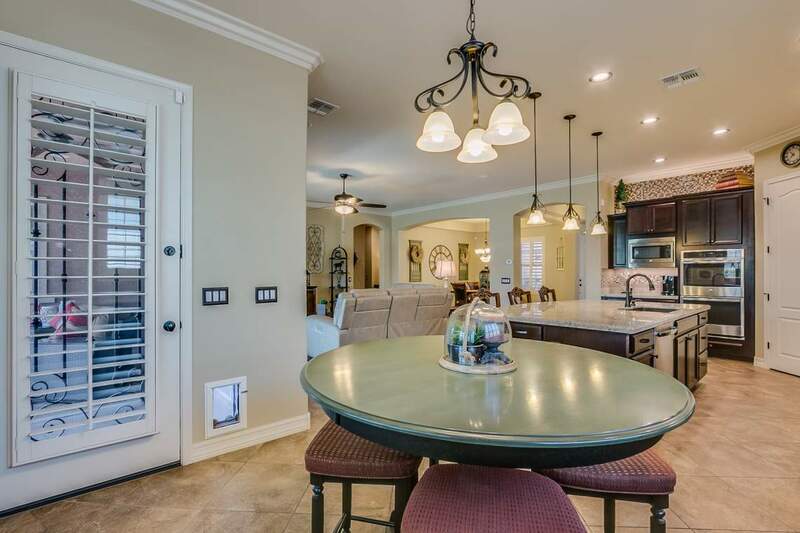 Stunning Maracay home located in the master-planned community of The Bridges. 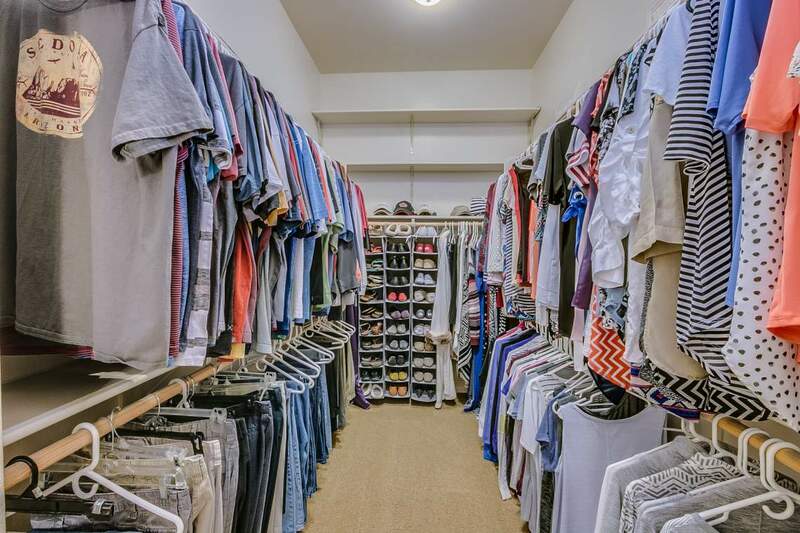 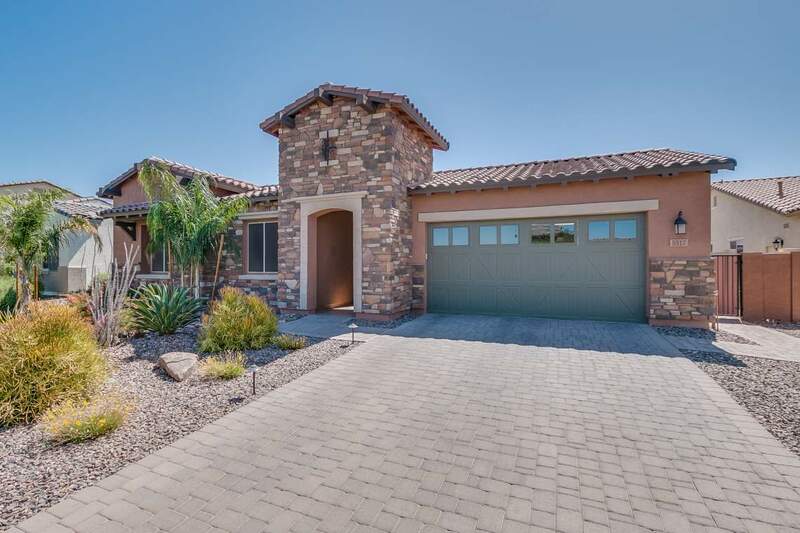 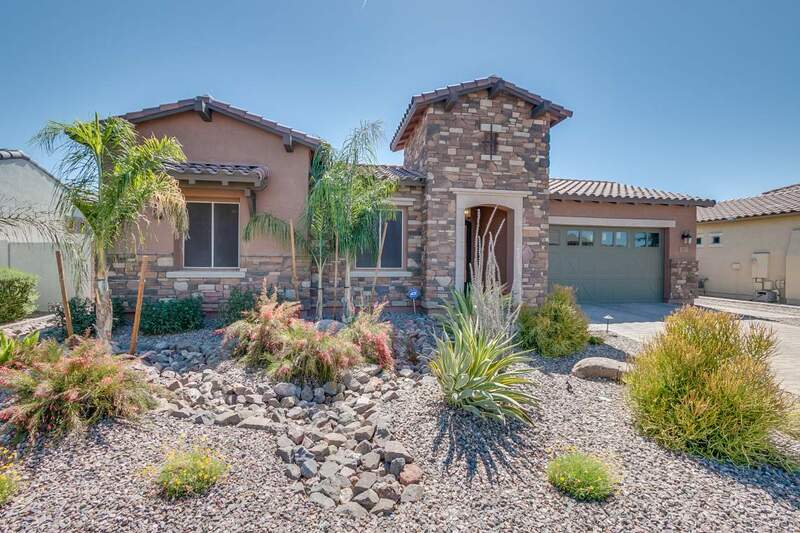 This popular Cholla plan is nearly new and offers endless upgrades. 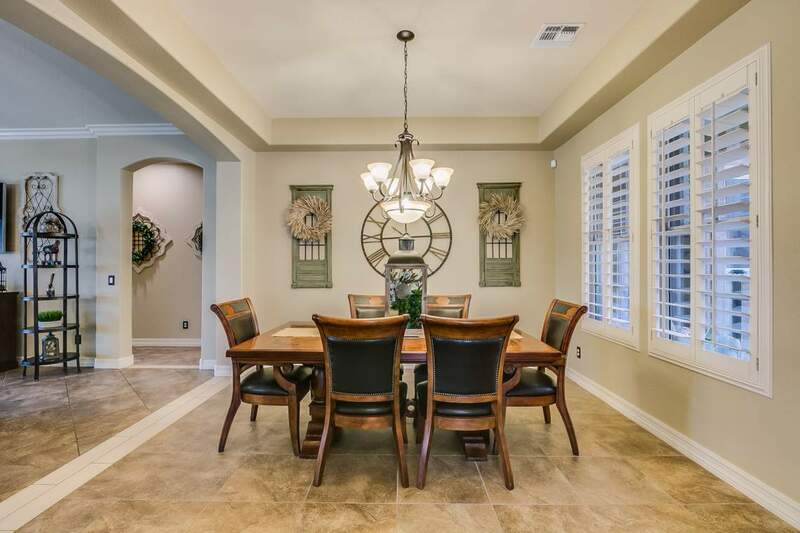 The homes offers a design that is perfect for a multi-generational or growing family. 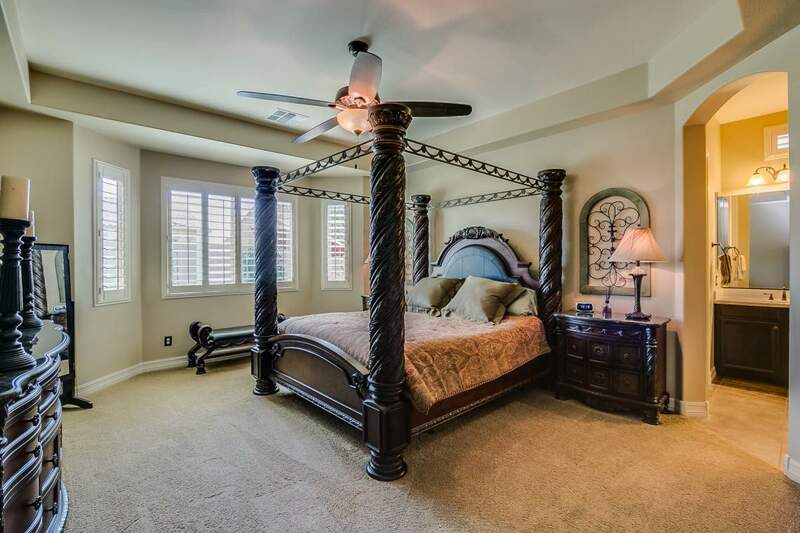 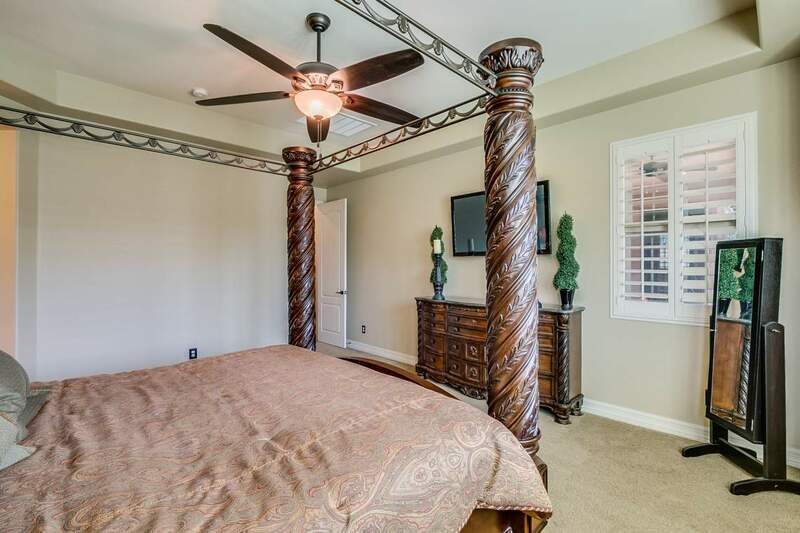 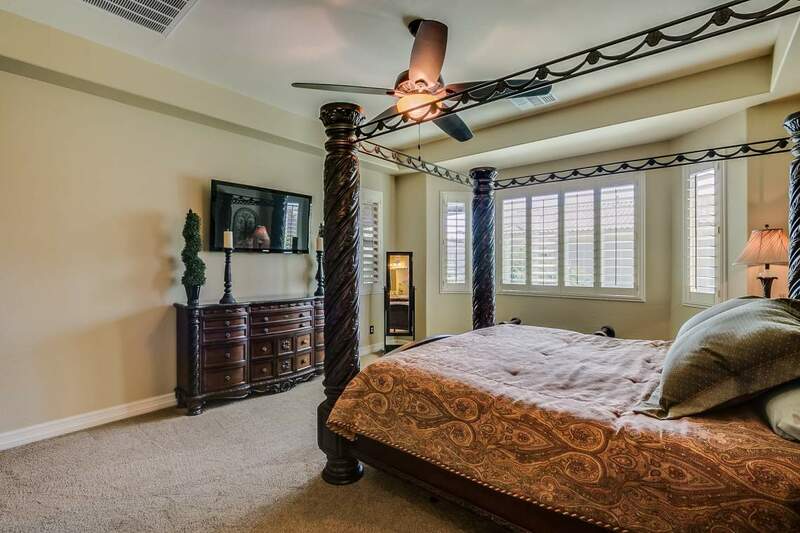 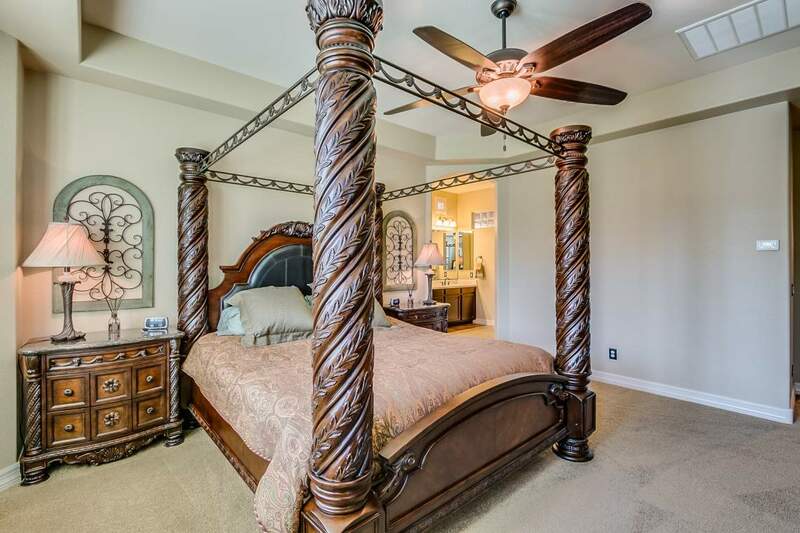 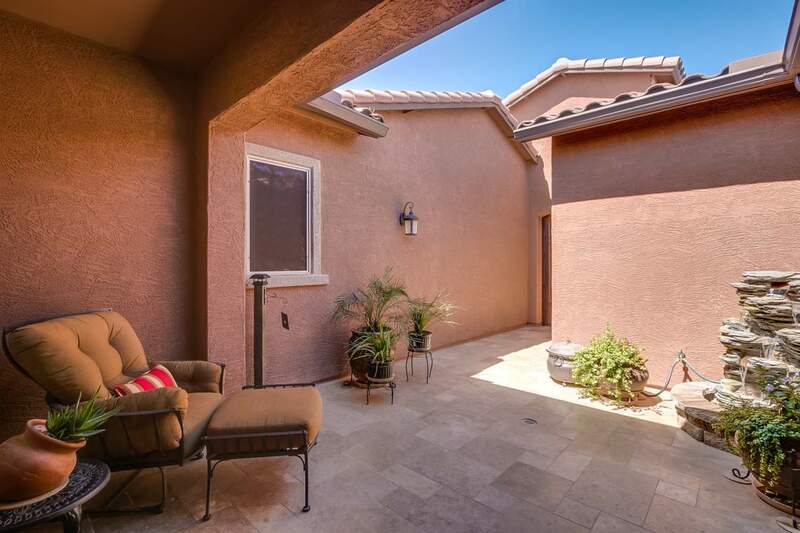 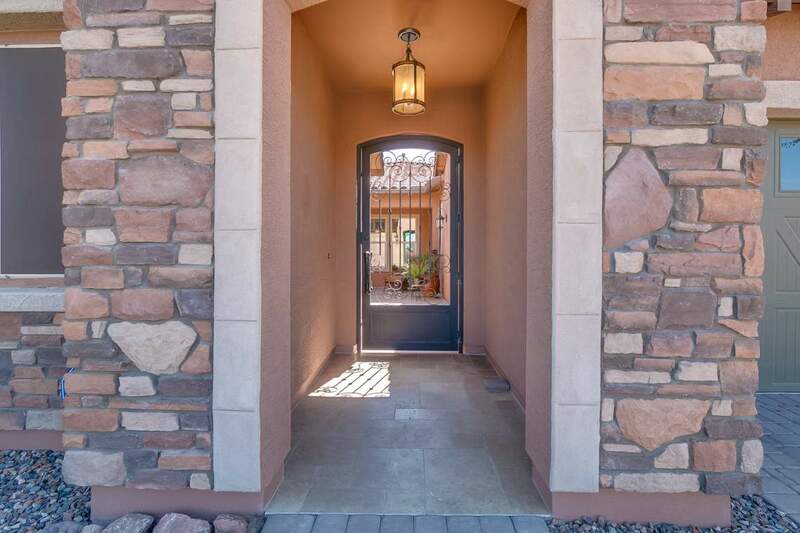 Enter the home past the custom wrought iron and spacious courtyard. 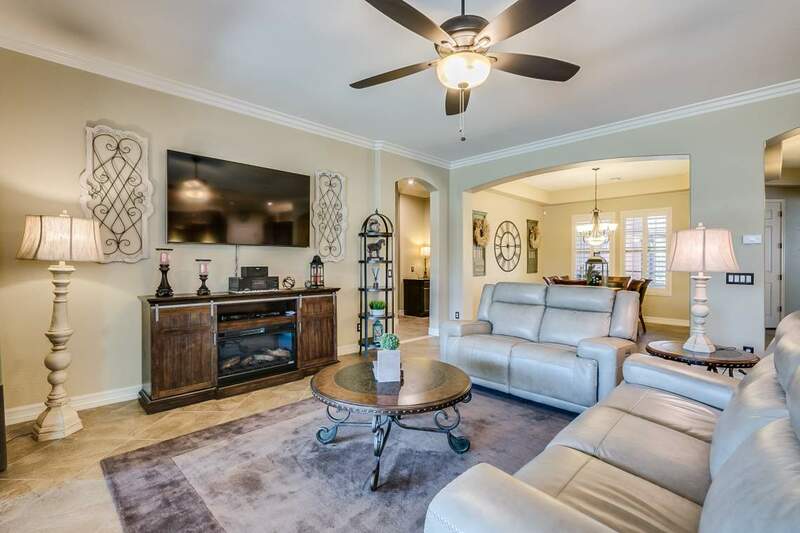 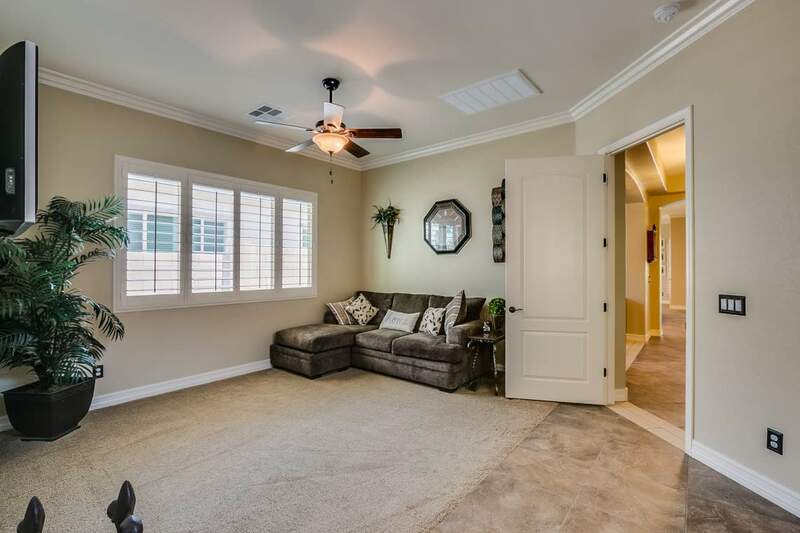 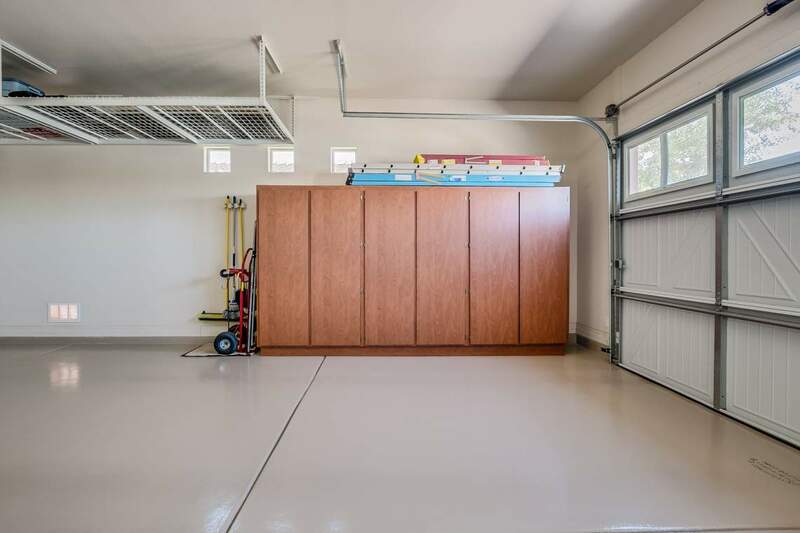 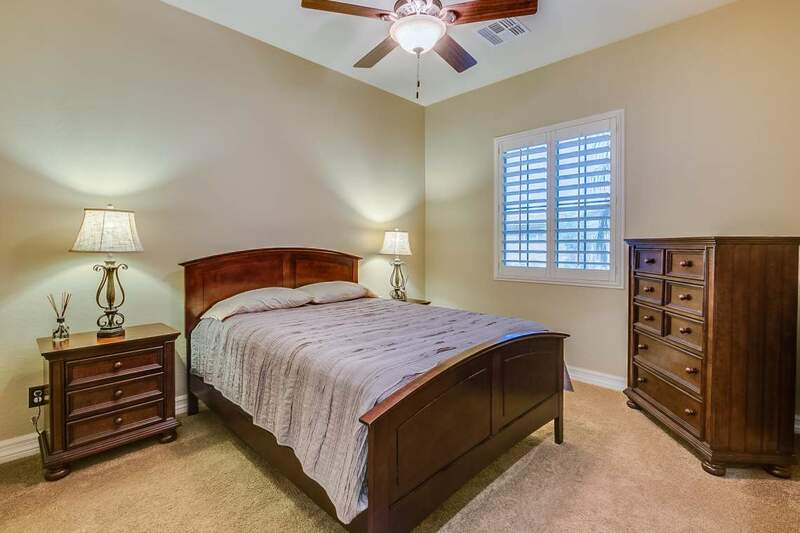 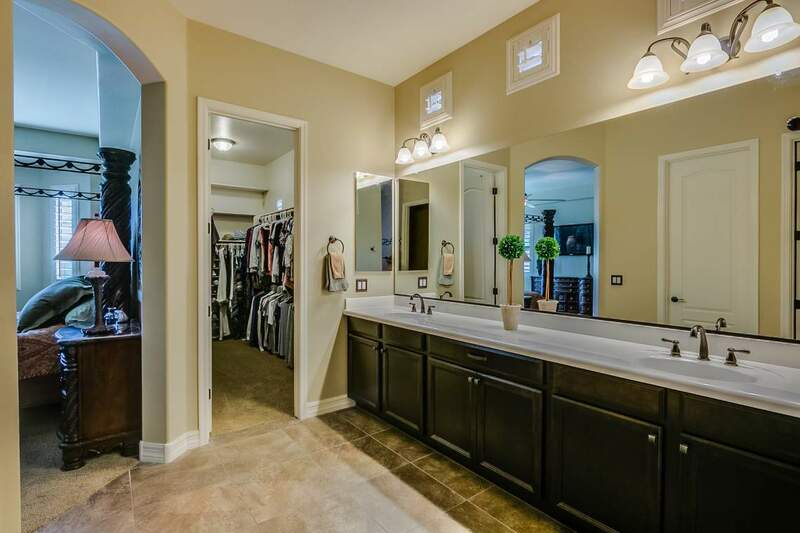 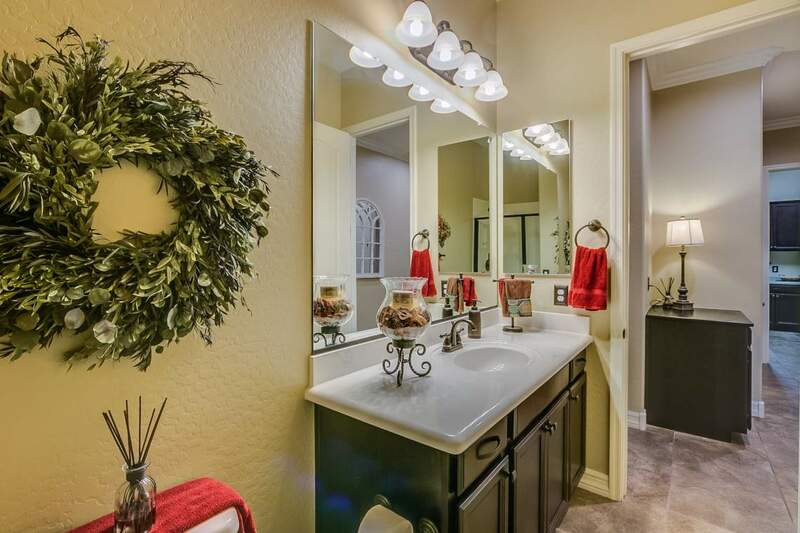 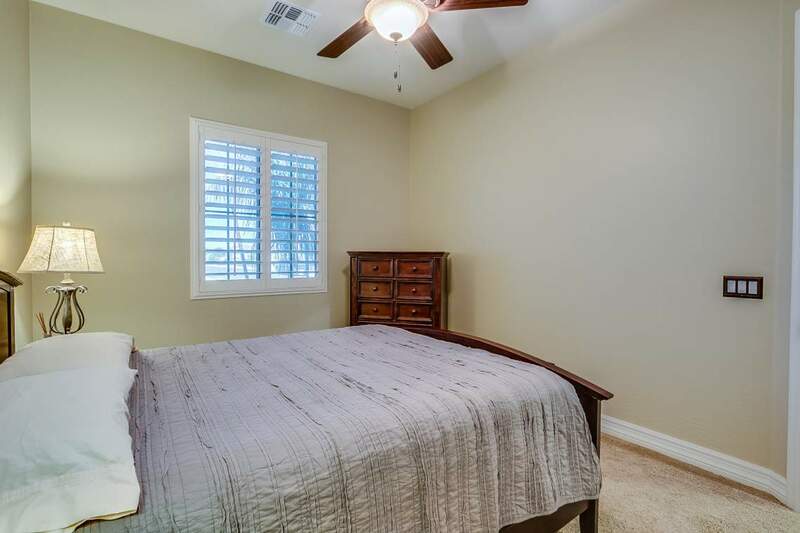 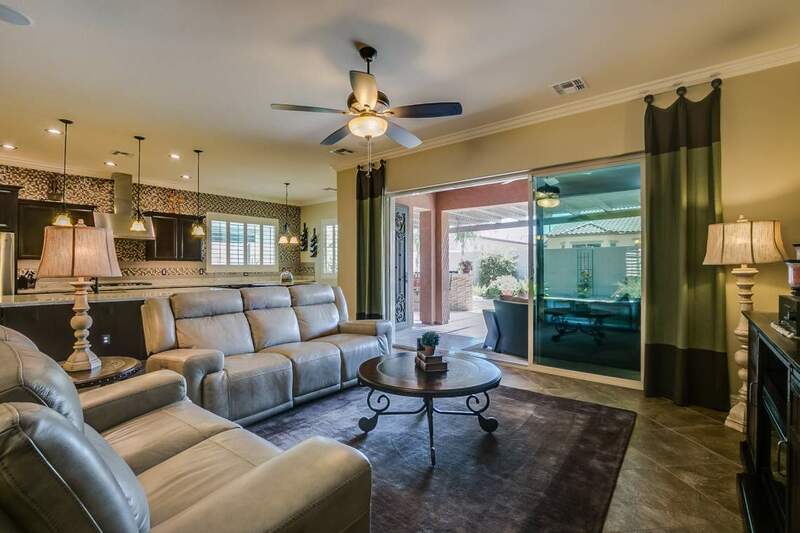 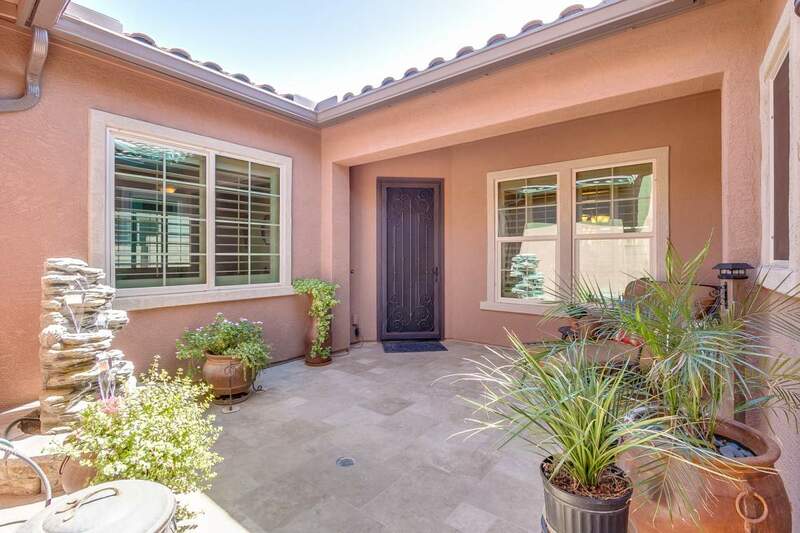 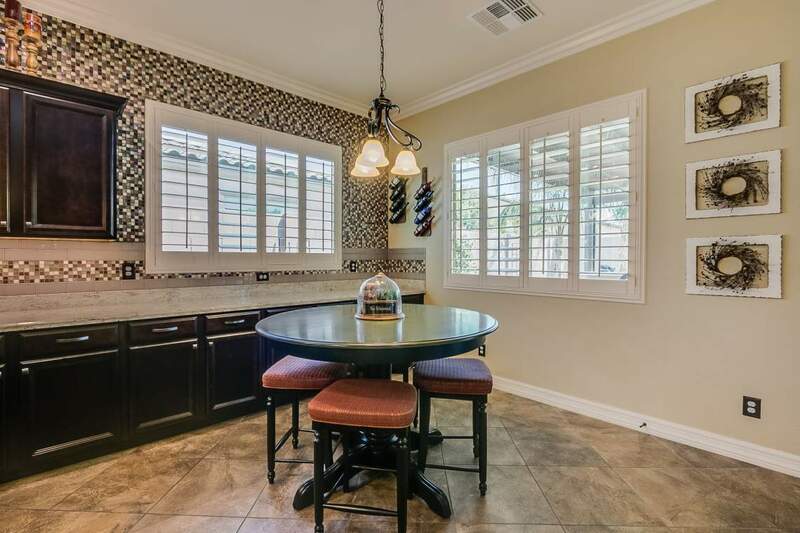 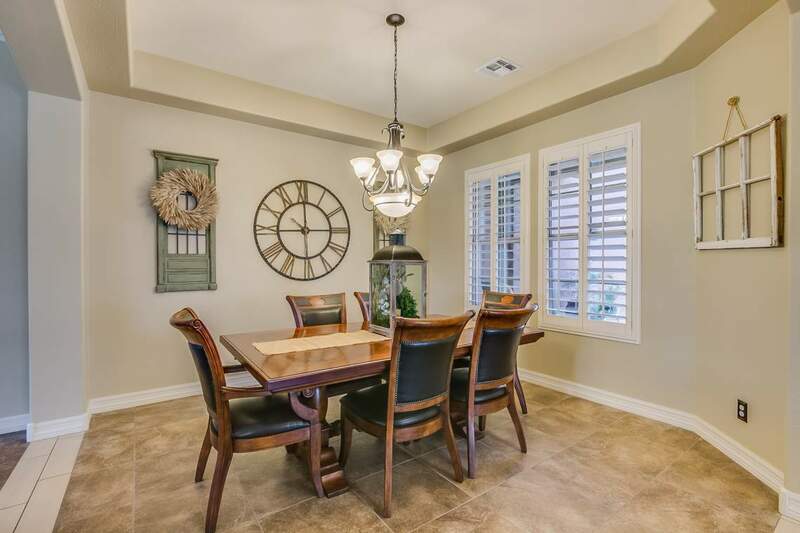 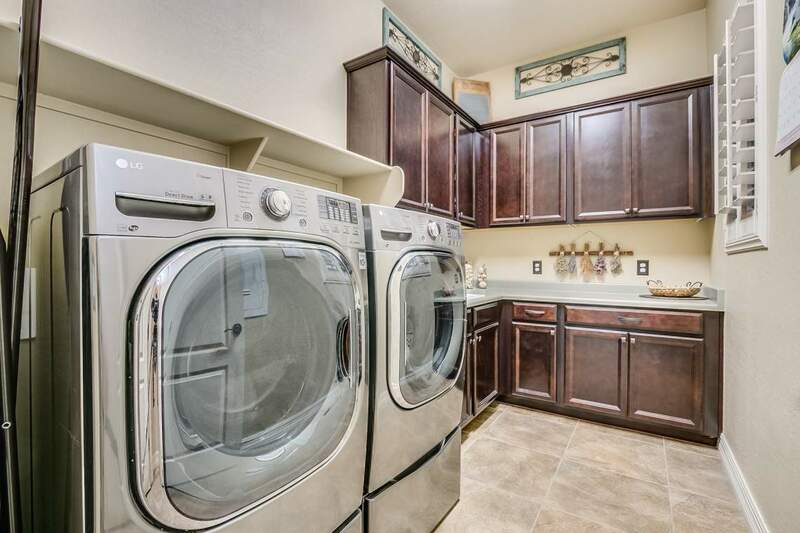 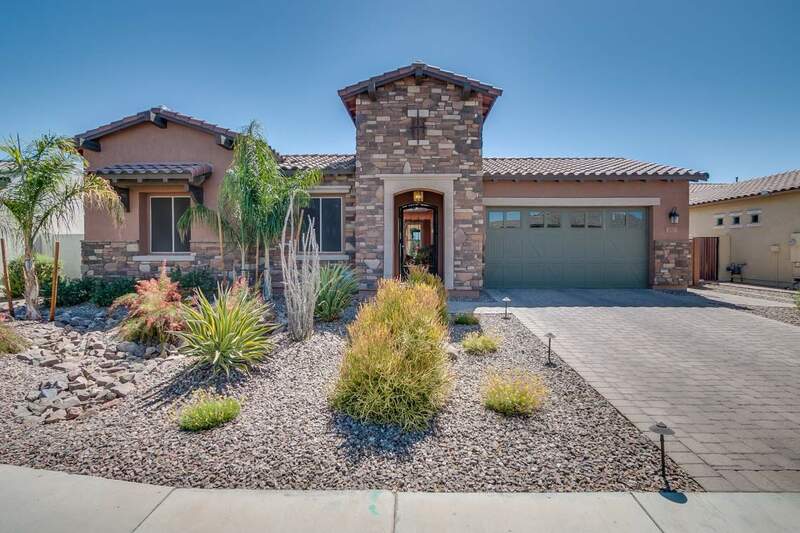 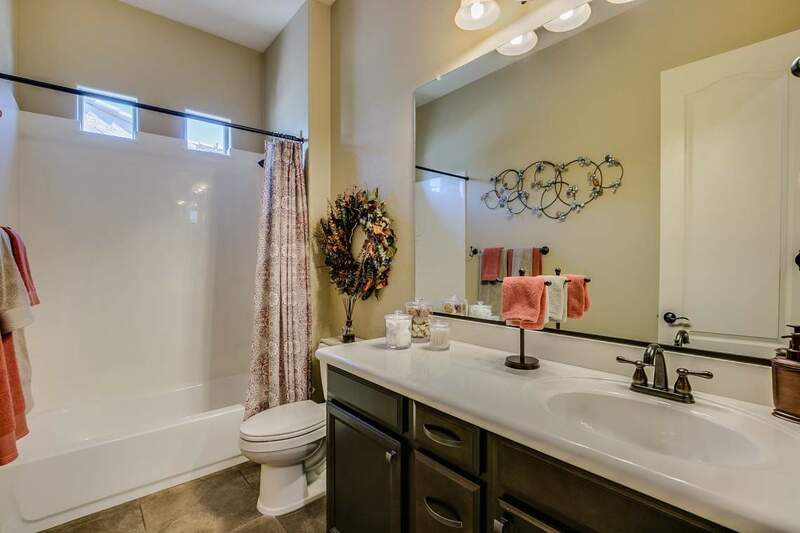 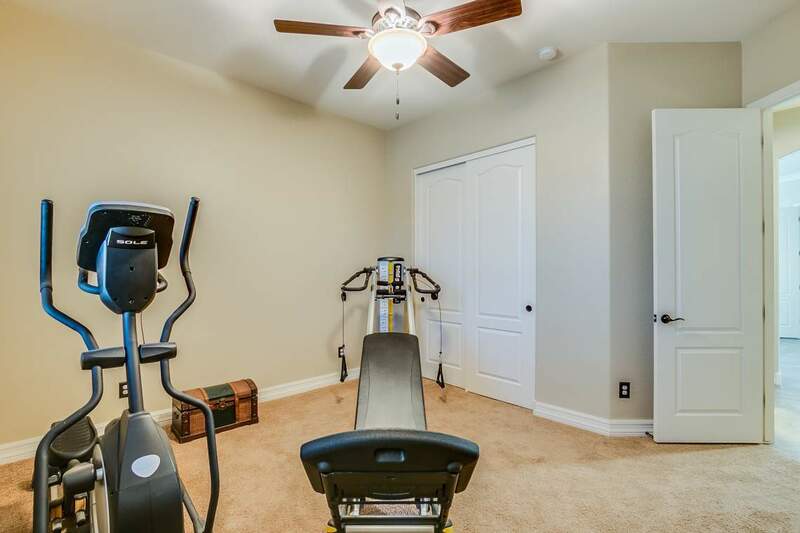 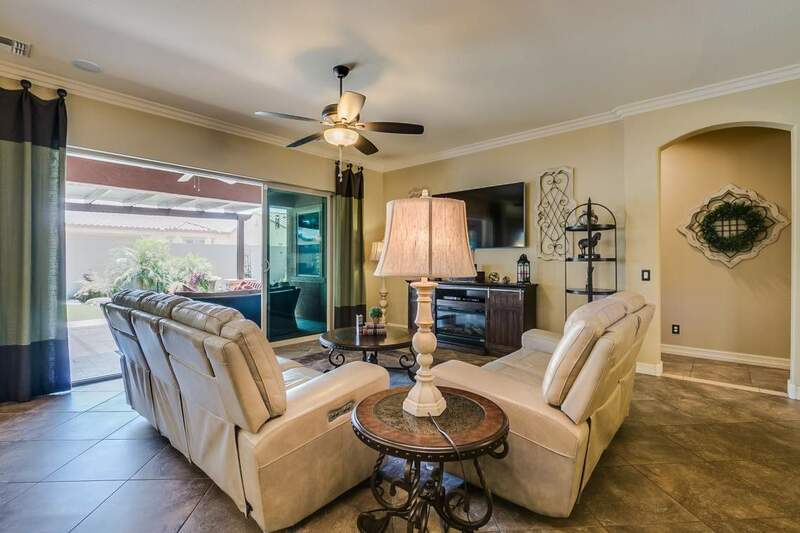 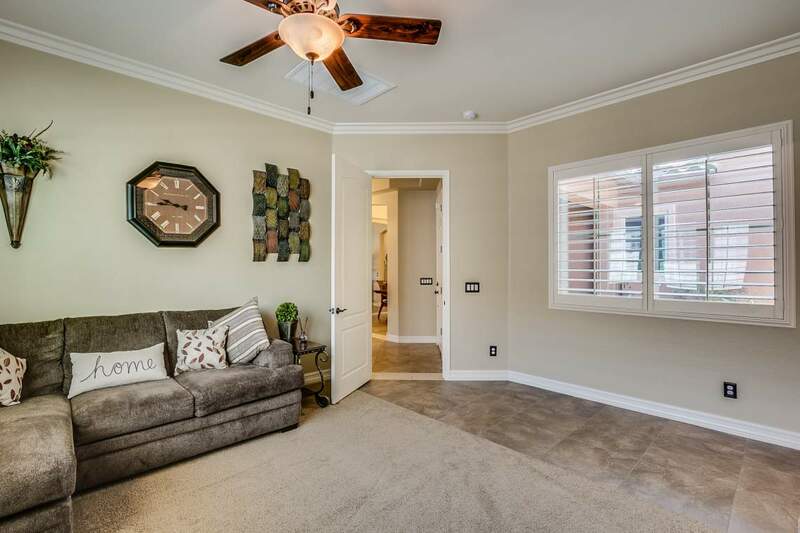 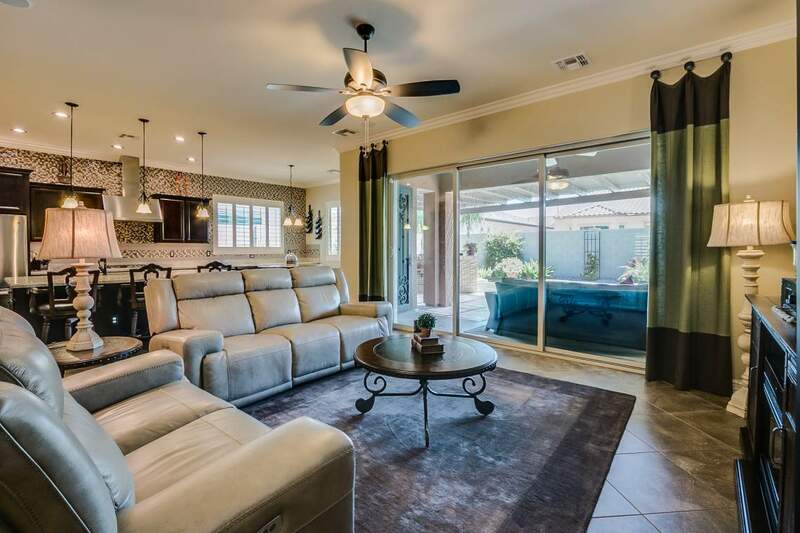 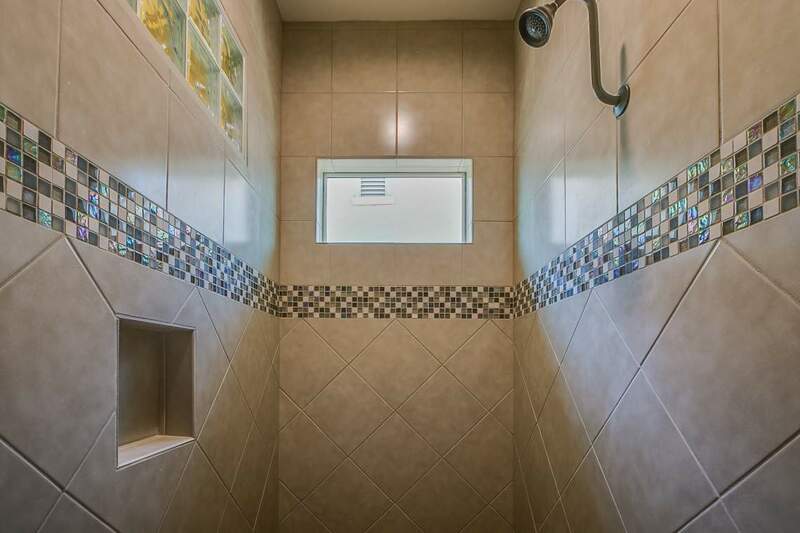 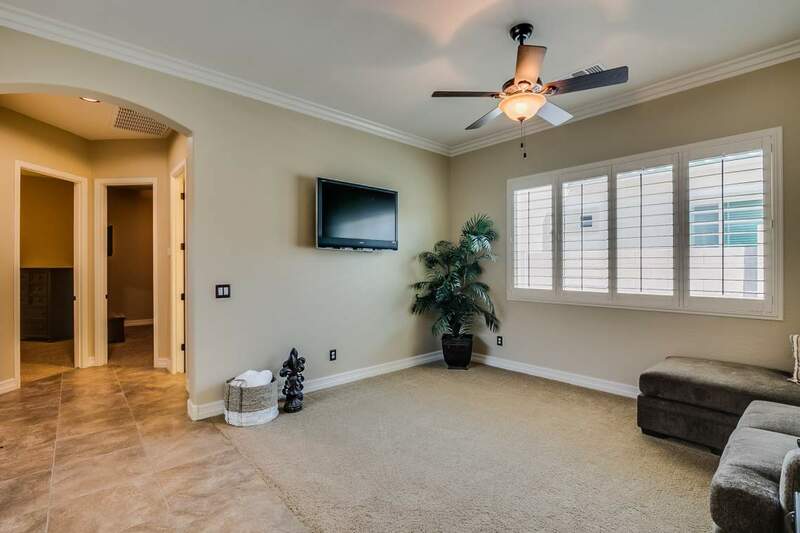 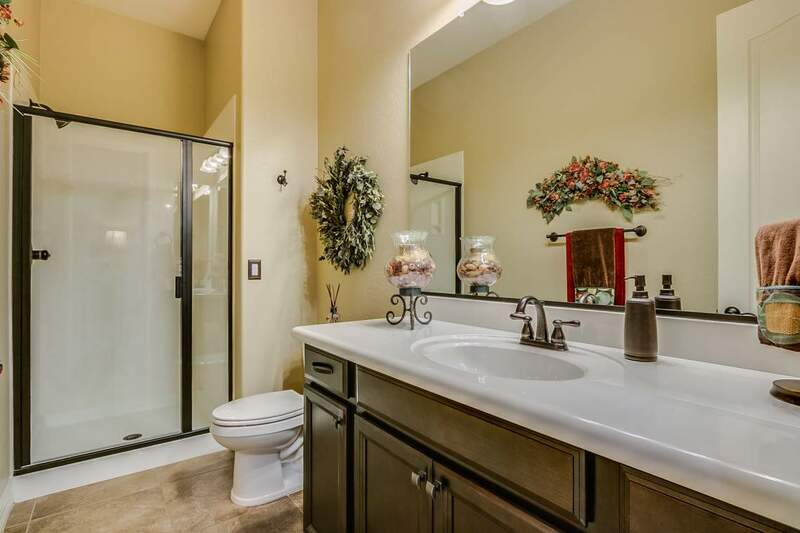 Step inside and you’ll fall in love with the neutral tile and custom tilework throughout. 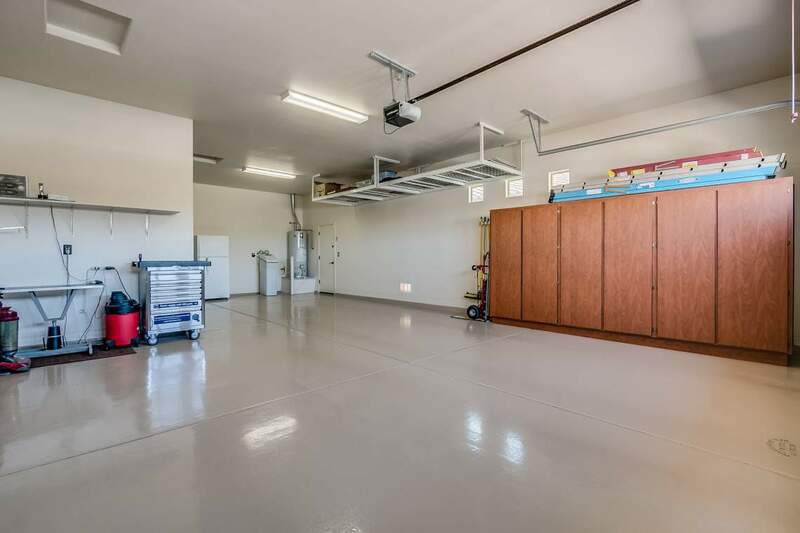 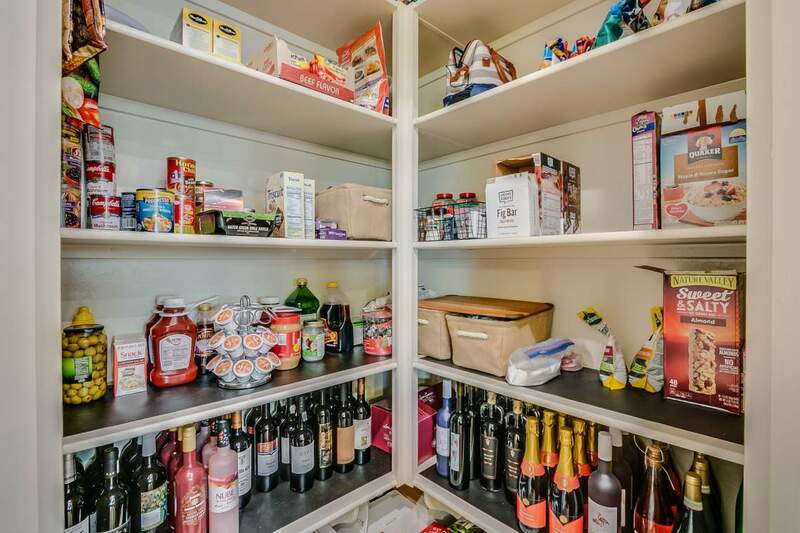 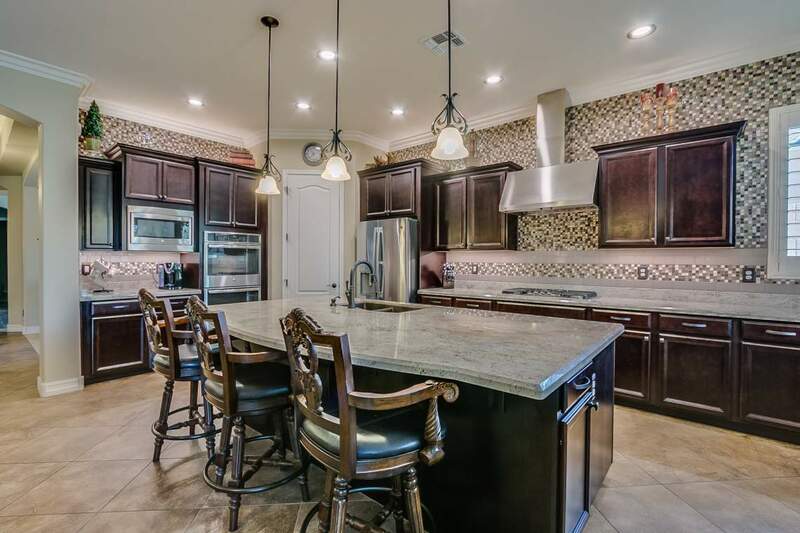 You’ll love to entertain your friends and family in the kitchen. 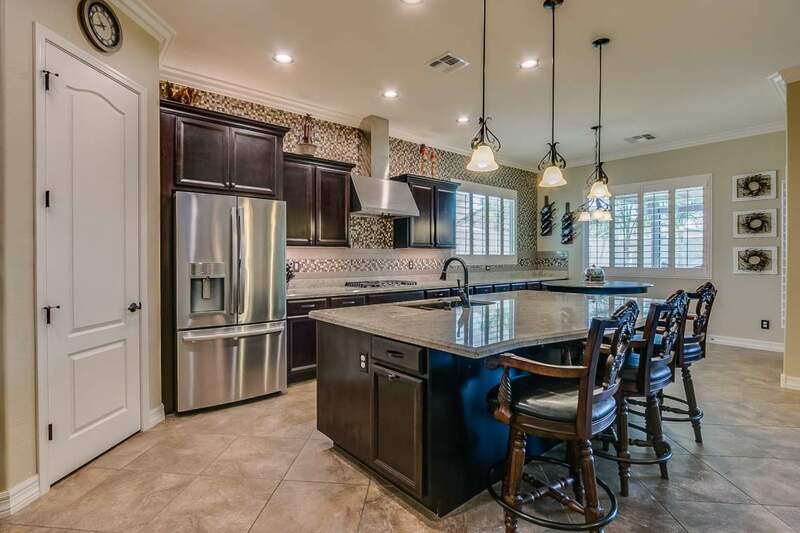 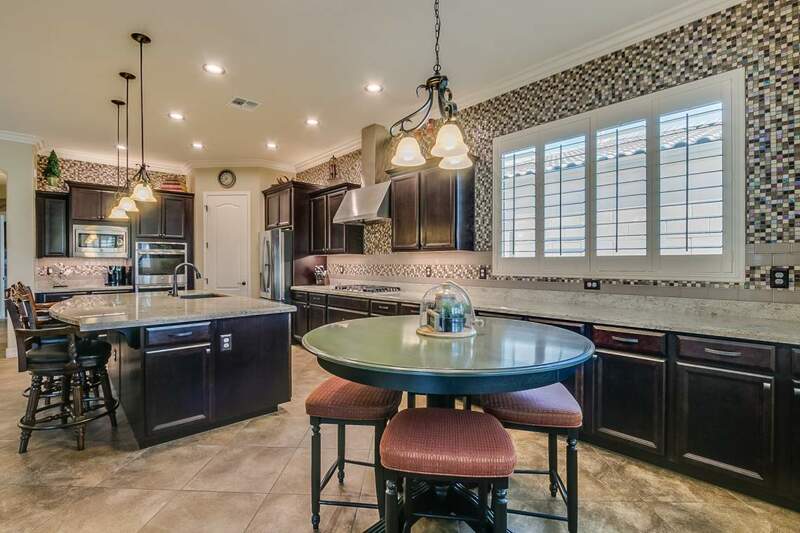 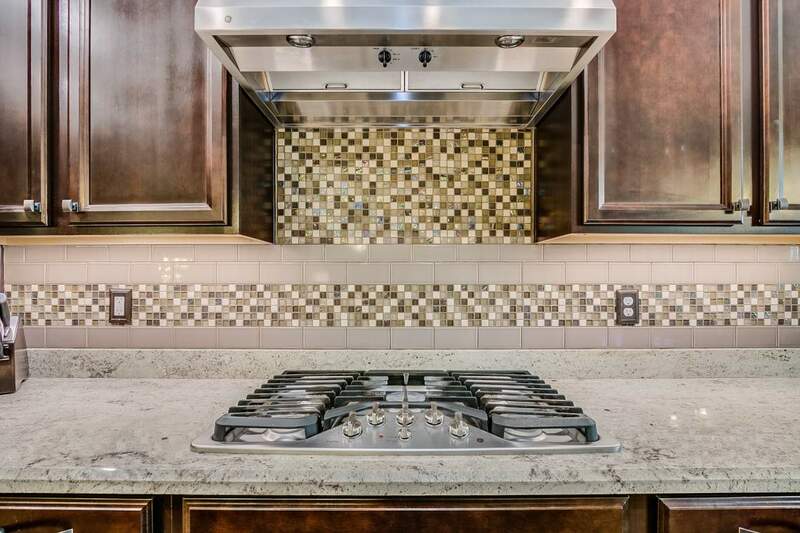 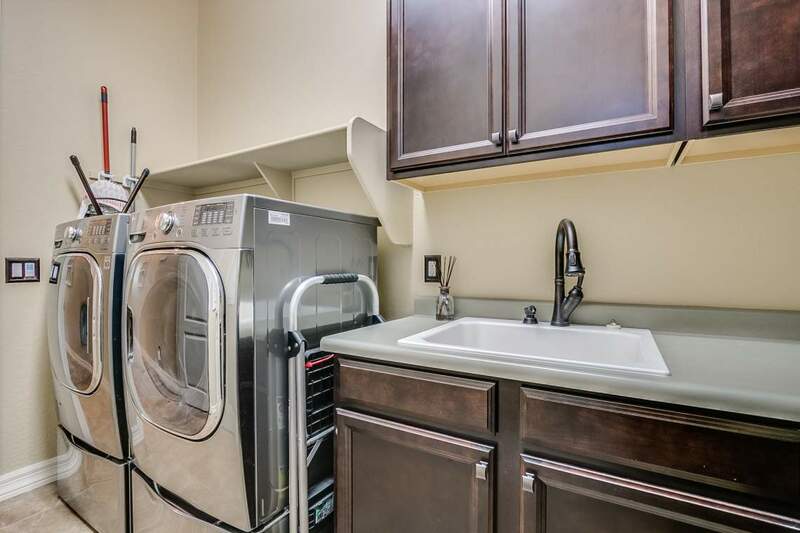 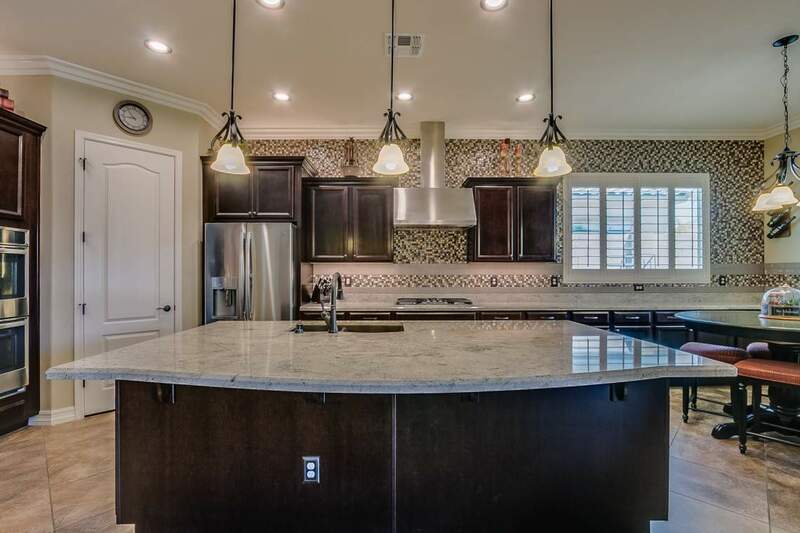 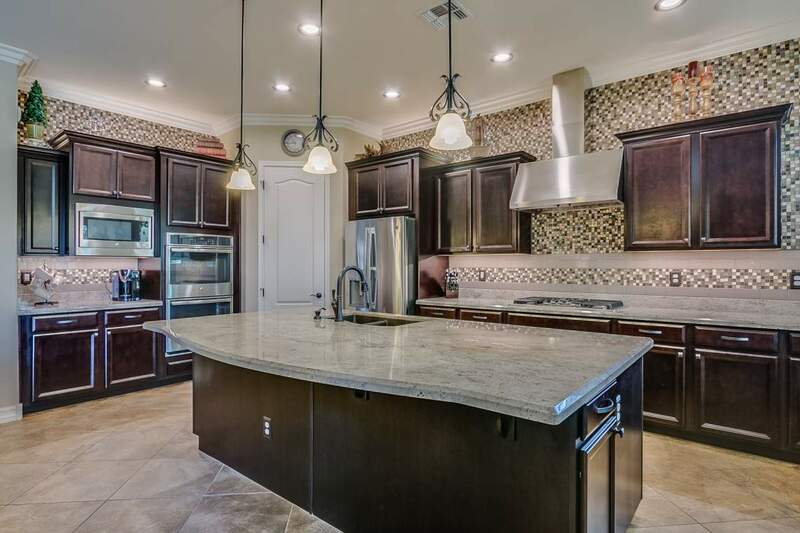 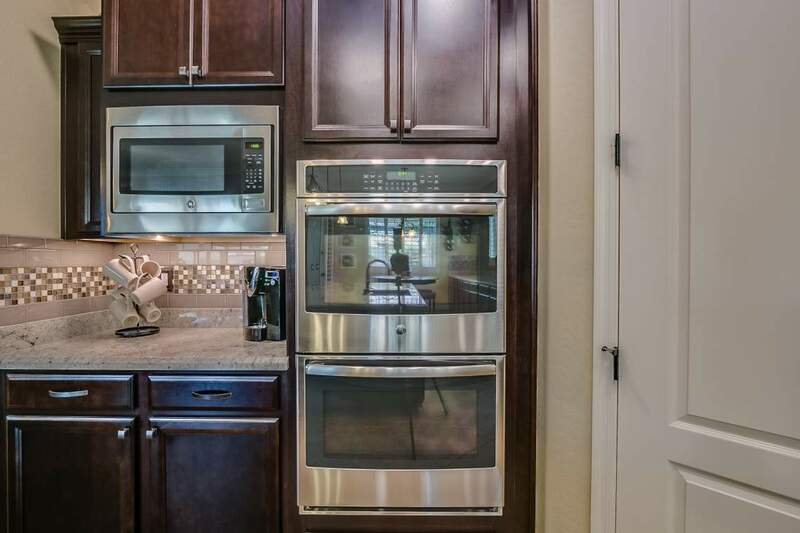 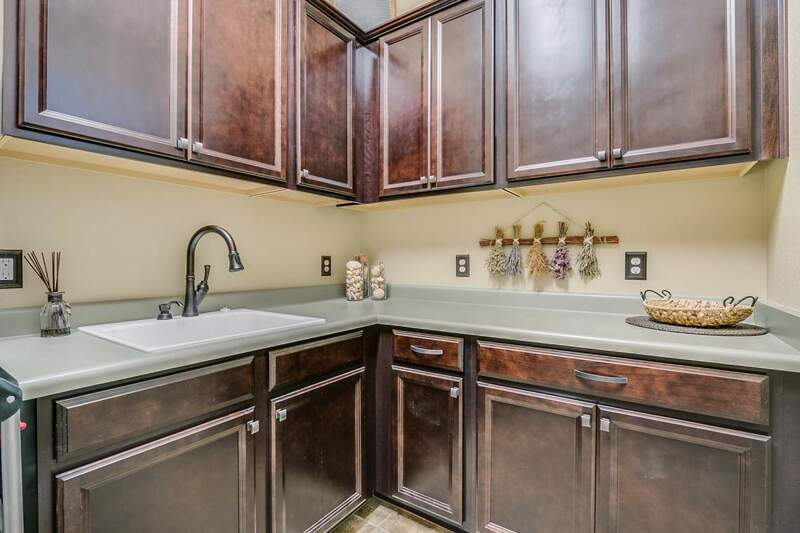 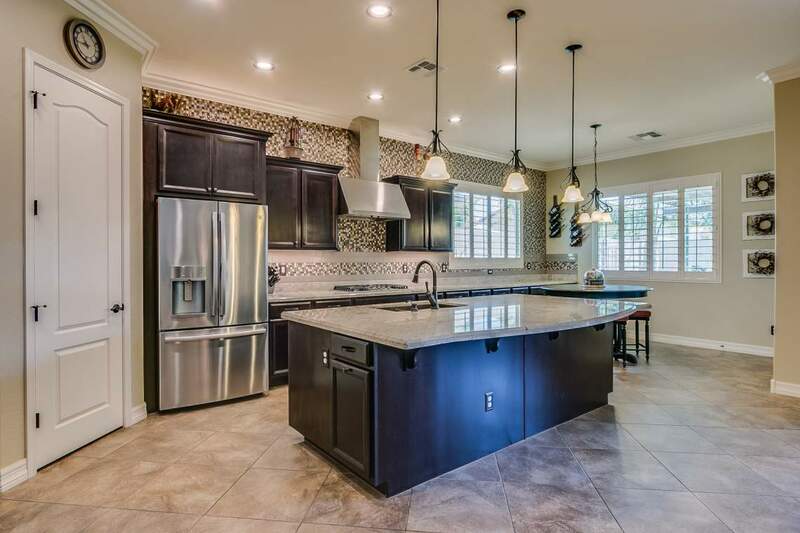 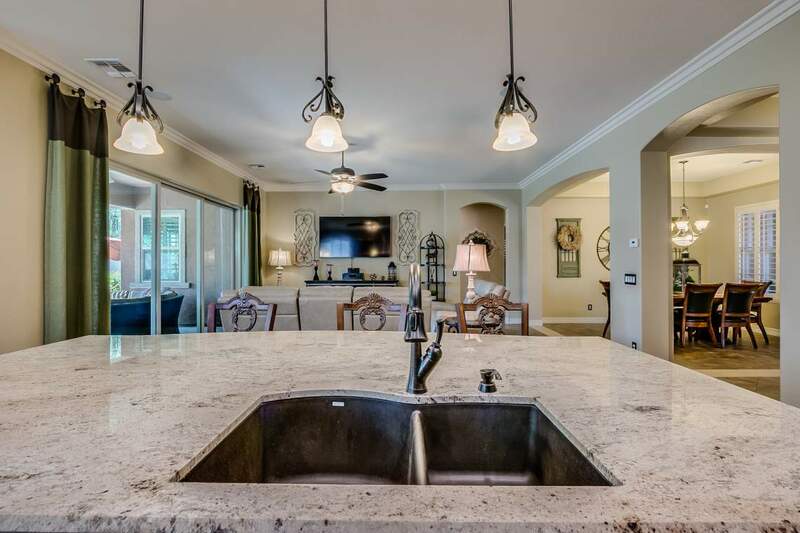 Custom backsplash, stainless steel appliances and gorgeous granite make this space perfect. 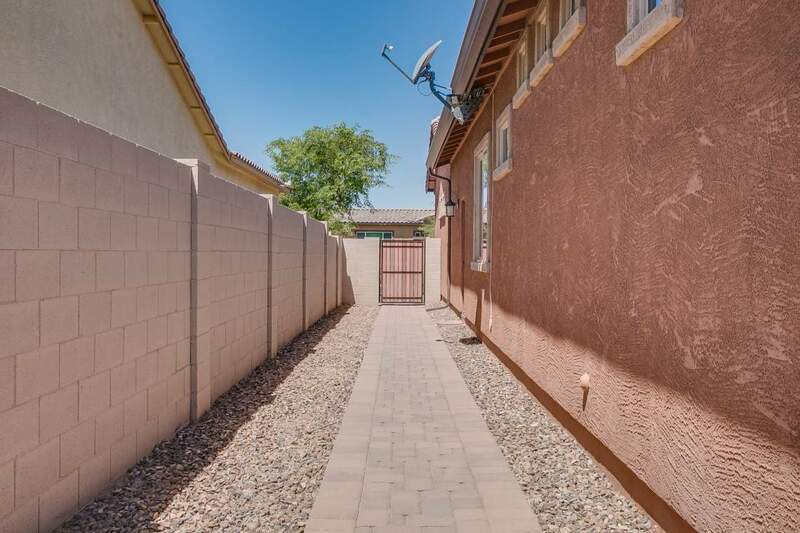 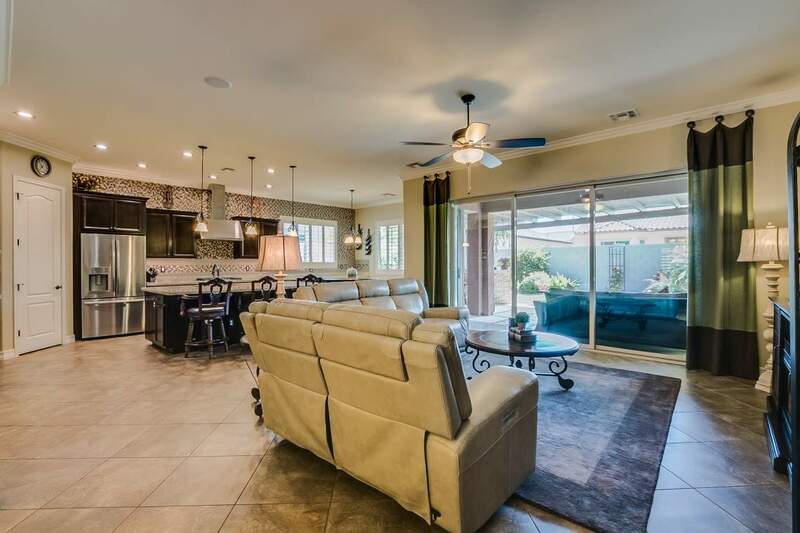 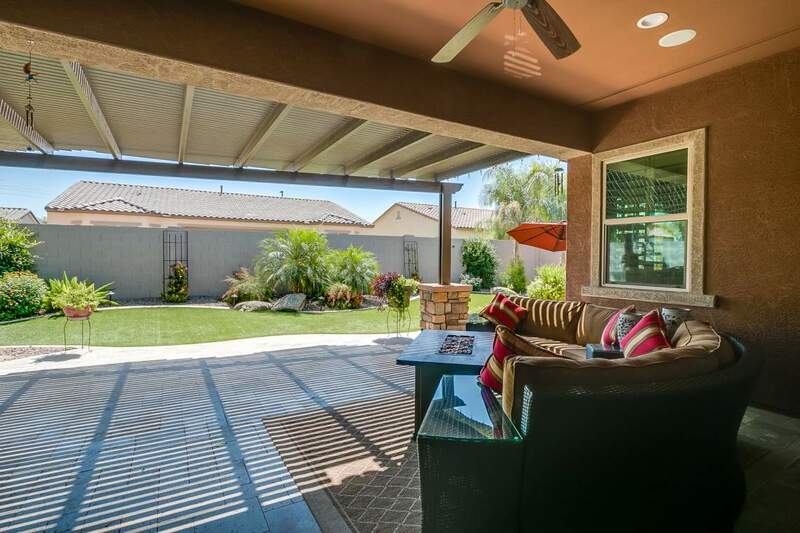 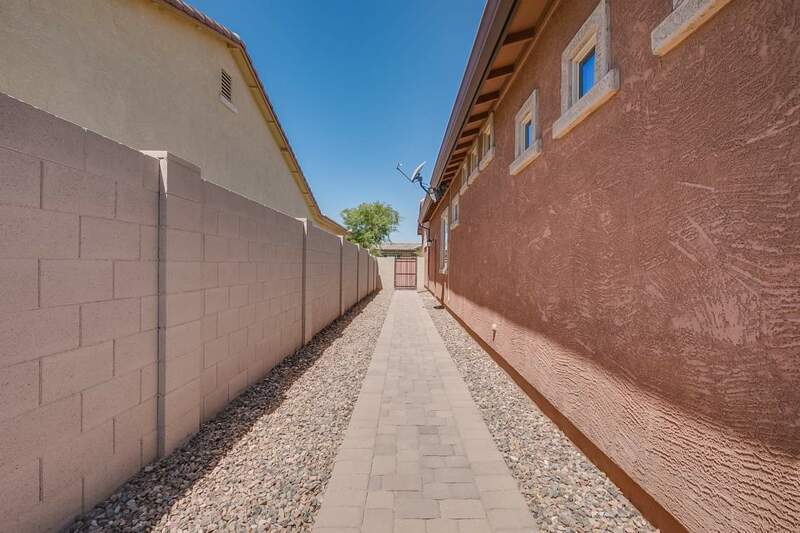 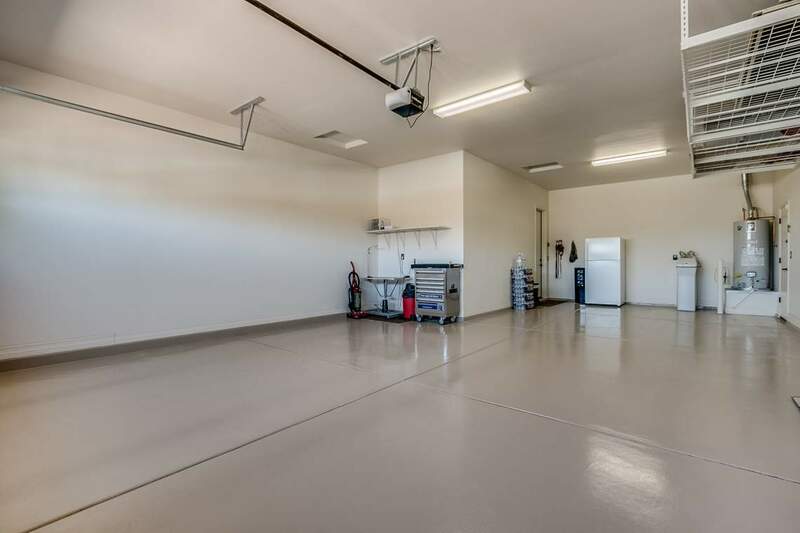 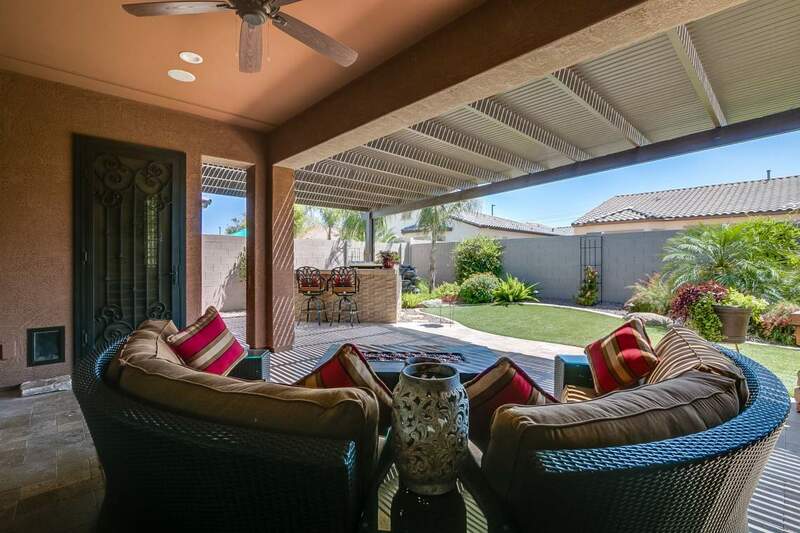 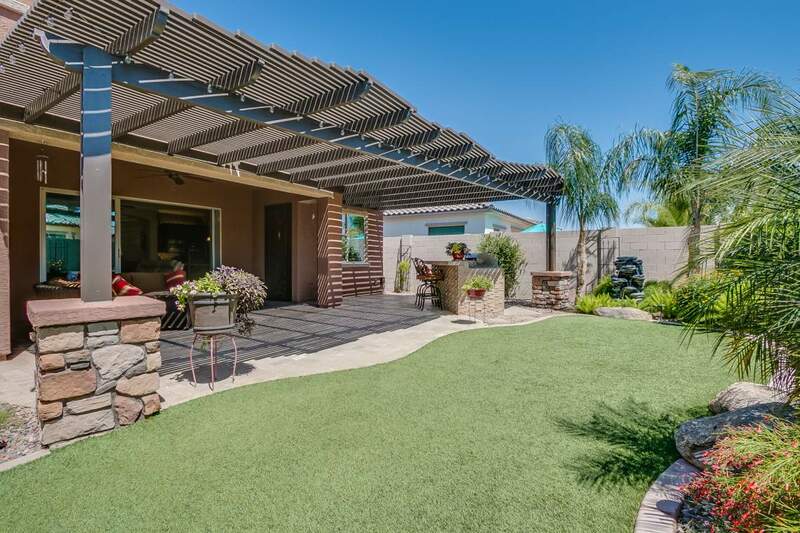 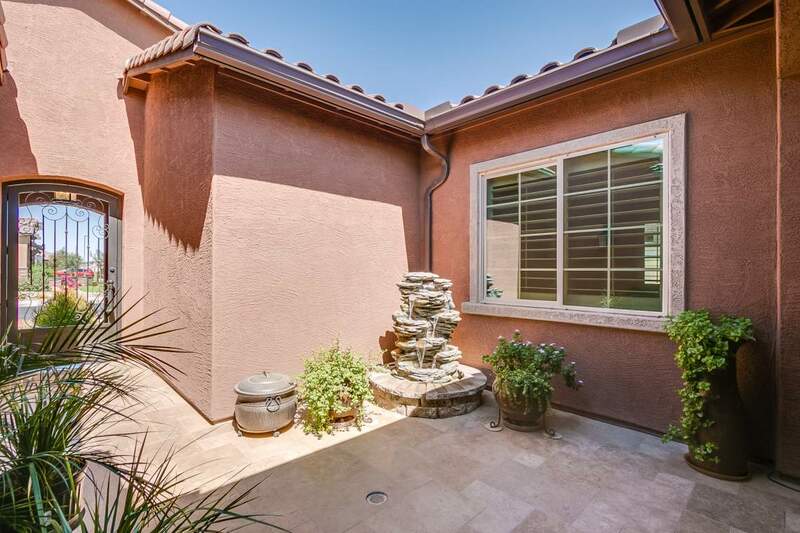 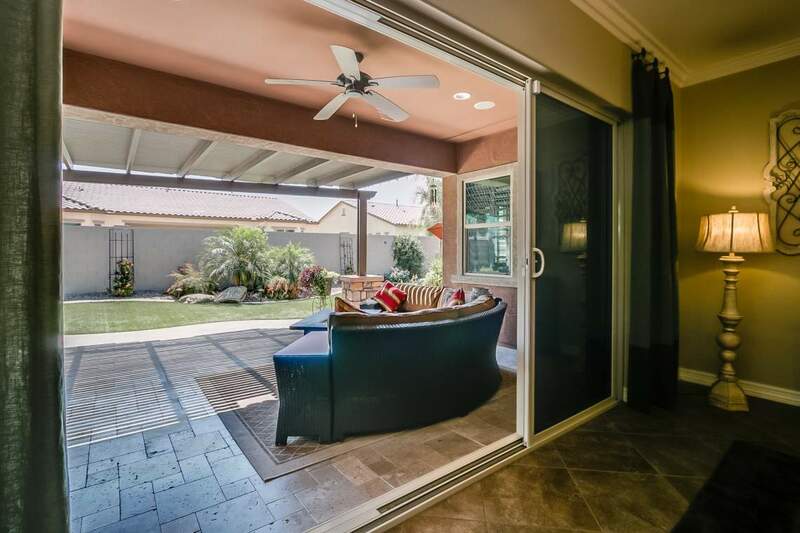 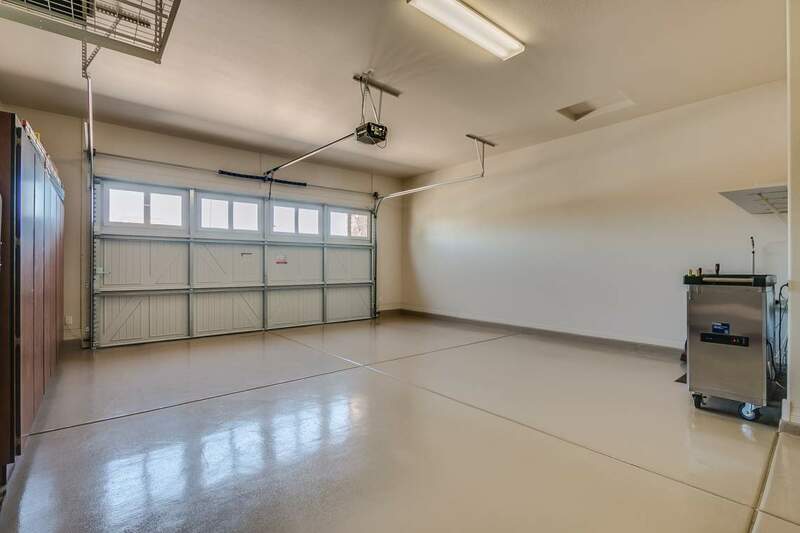 Step out back past the rolling wall of glass to a backyard where you’ll want to spend all of our time. 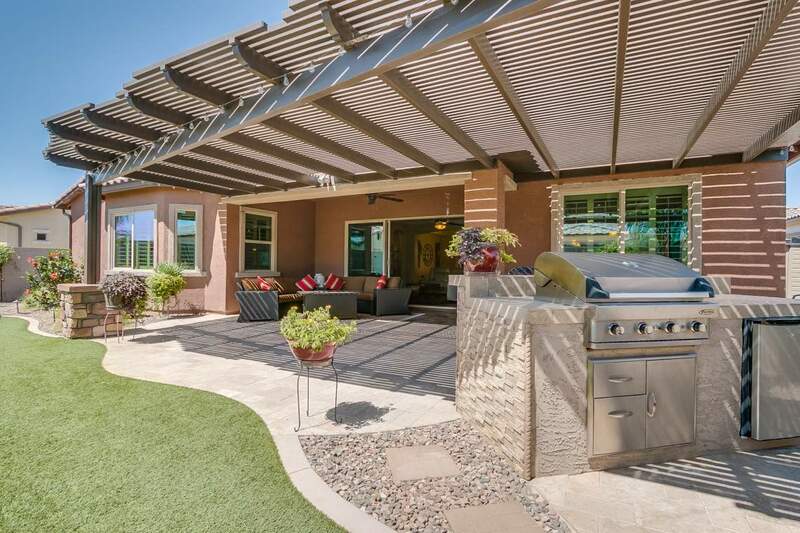 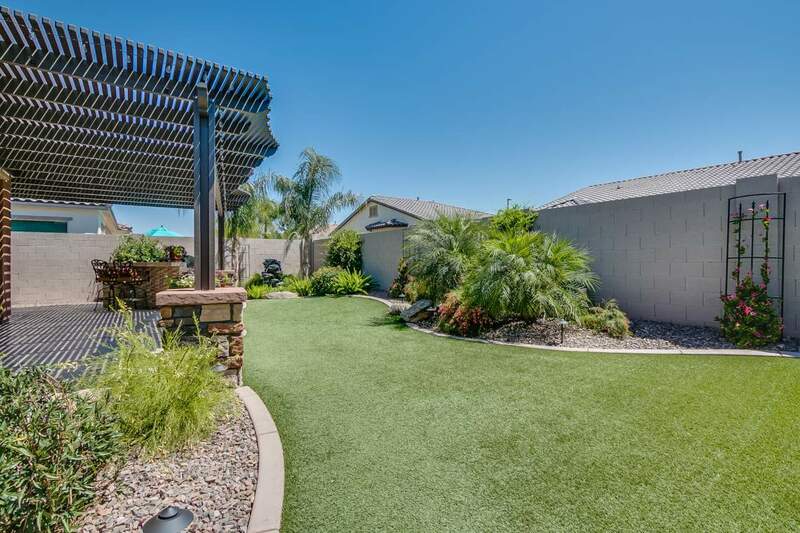 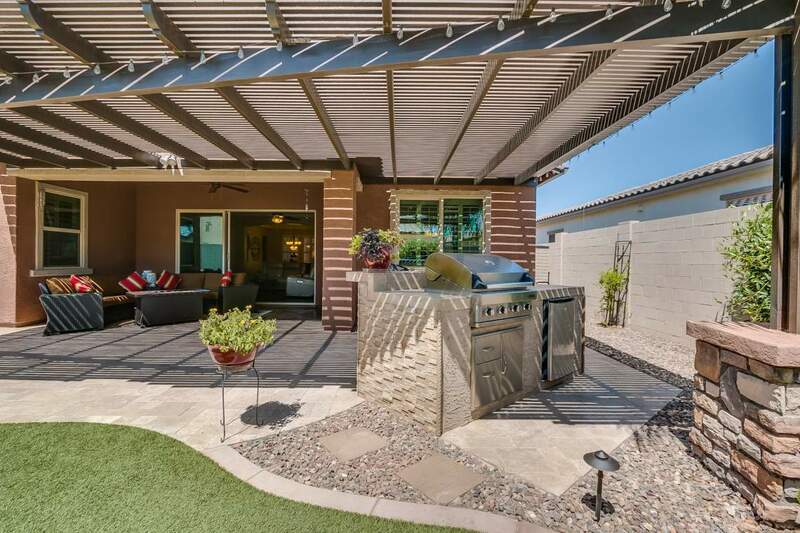 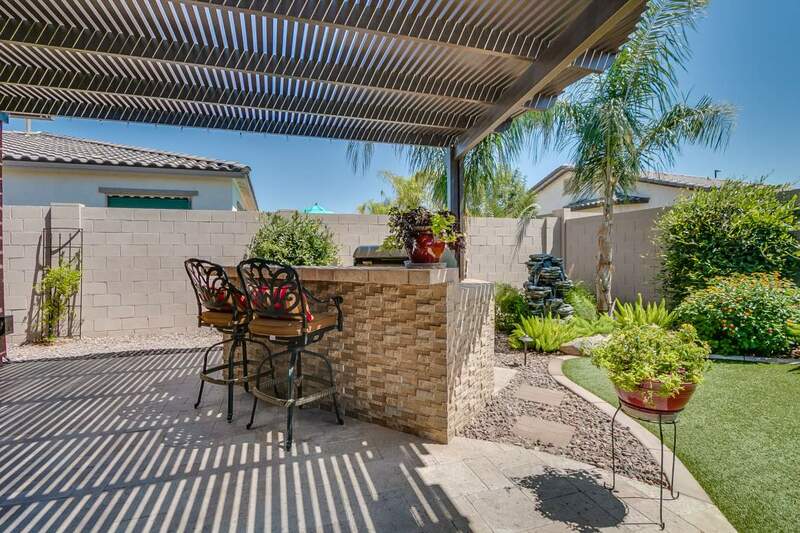 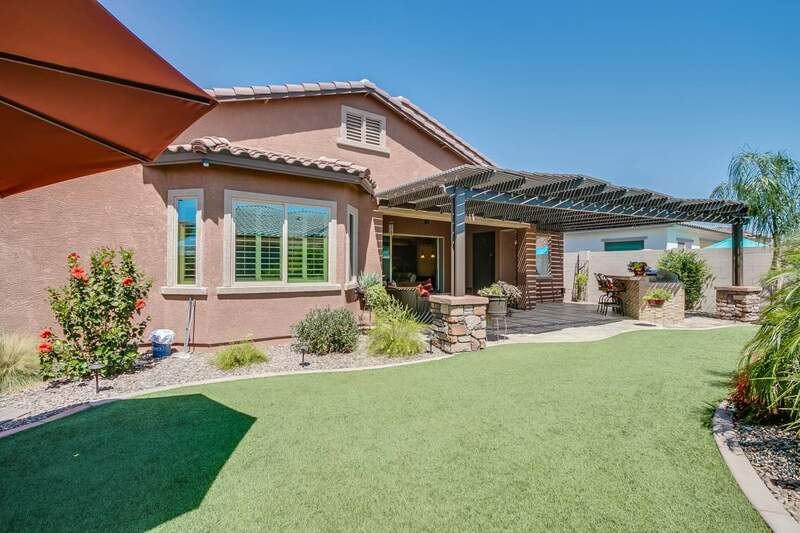 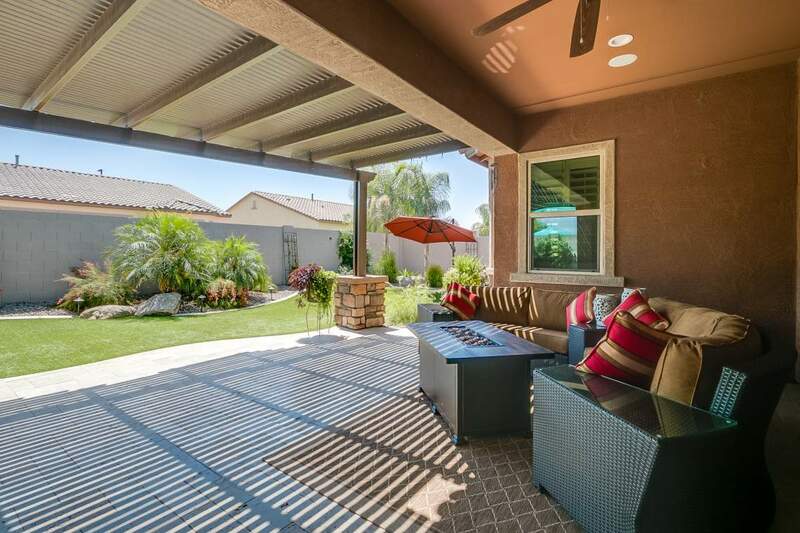 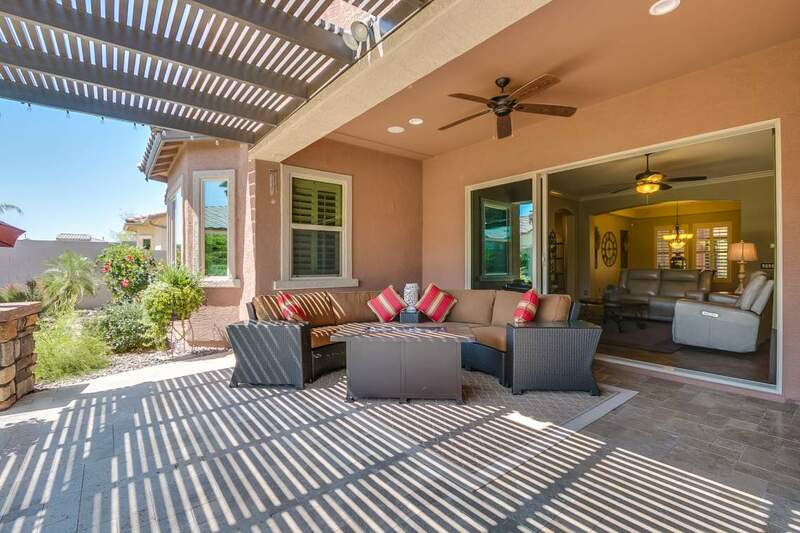 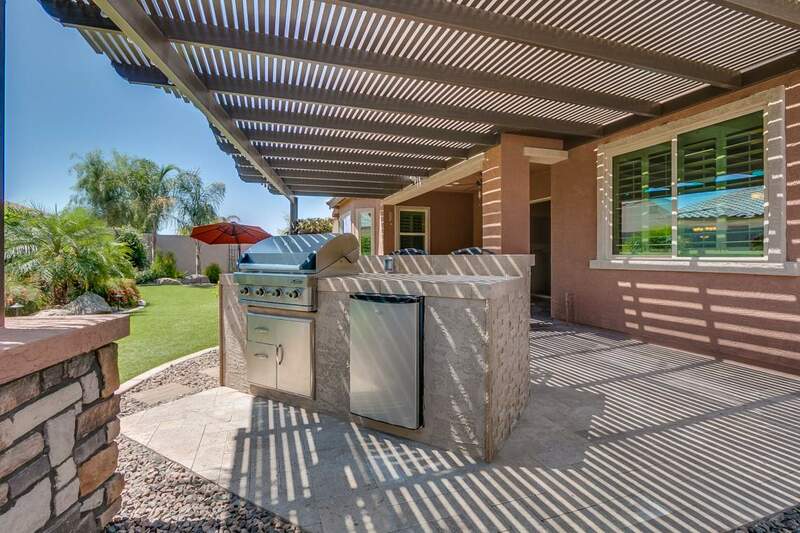 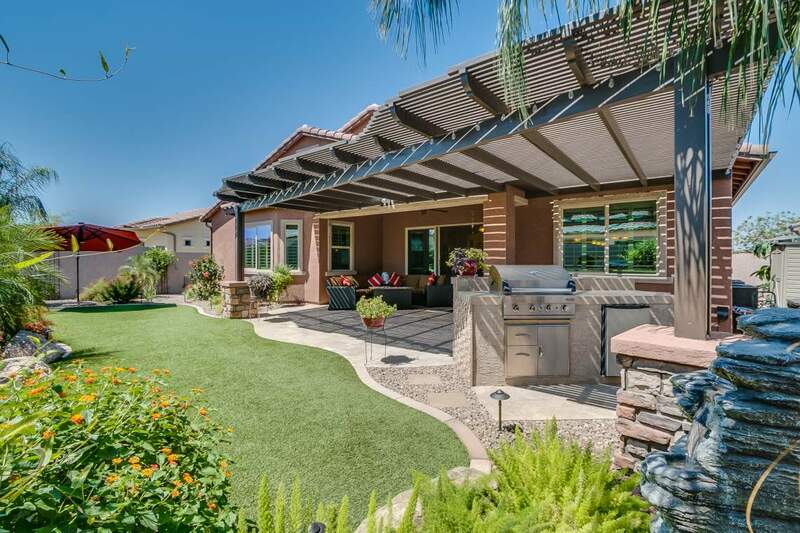 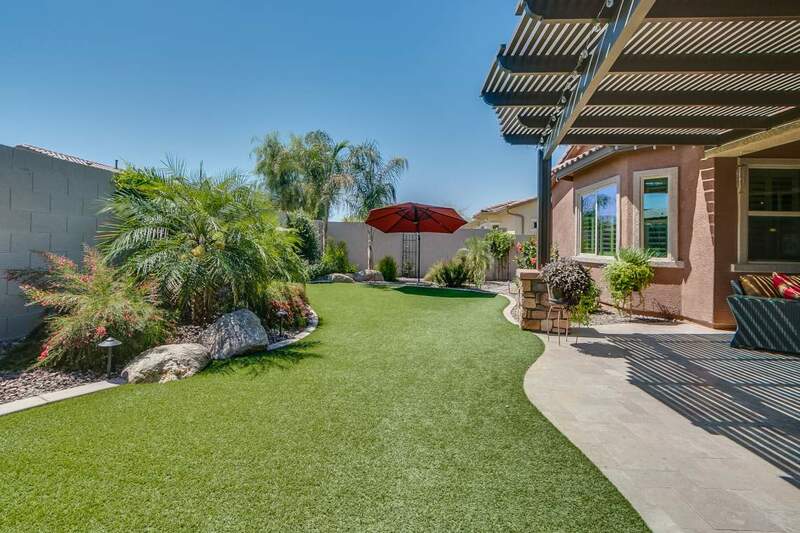 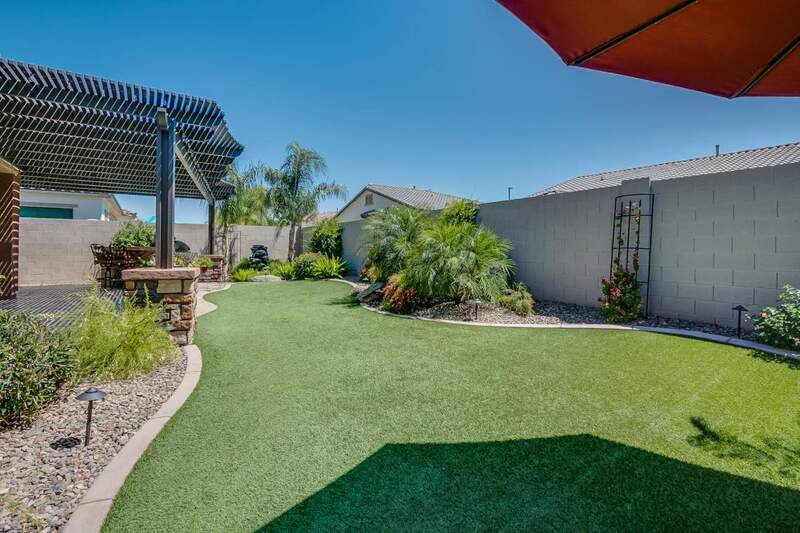 Extended travertine pavers, turf grass, custom pergola, BBQ grill and pristine landscaping. 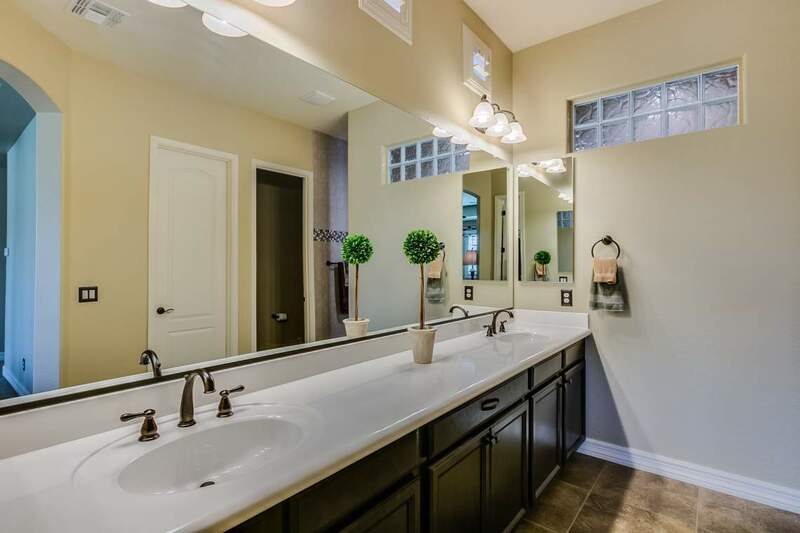 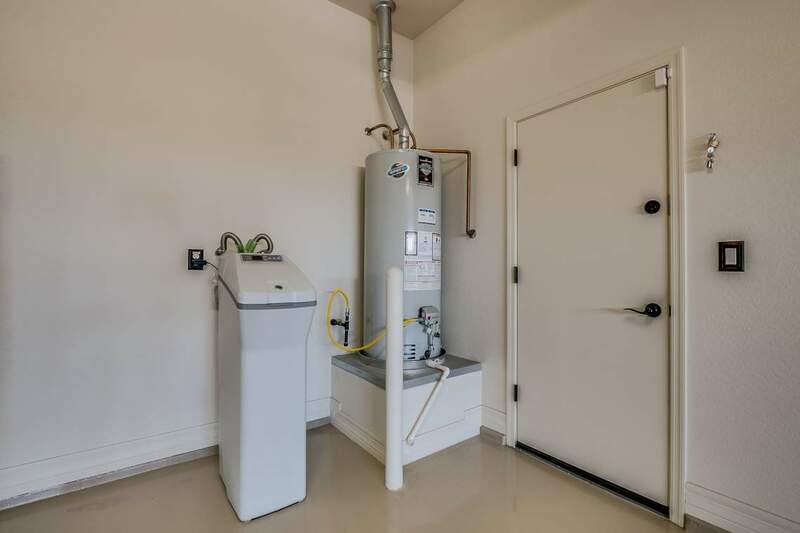 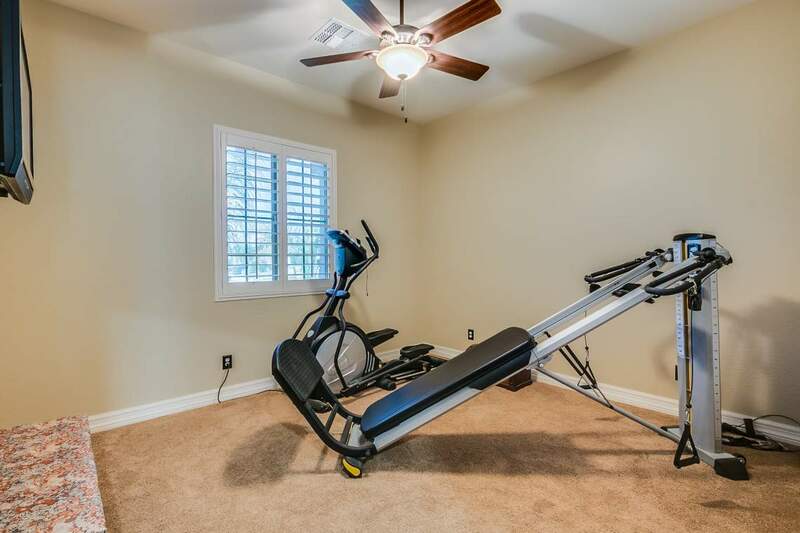 No detail was missed in this beautiful home. 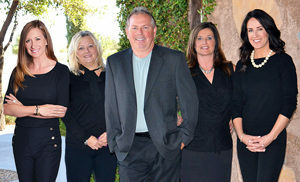 "I felt that I was able to access anyone on the team at any point. 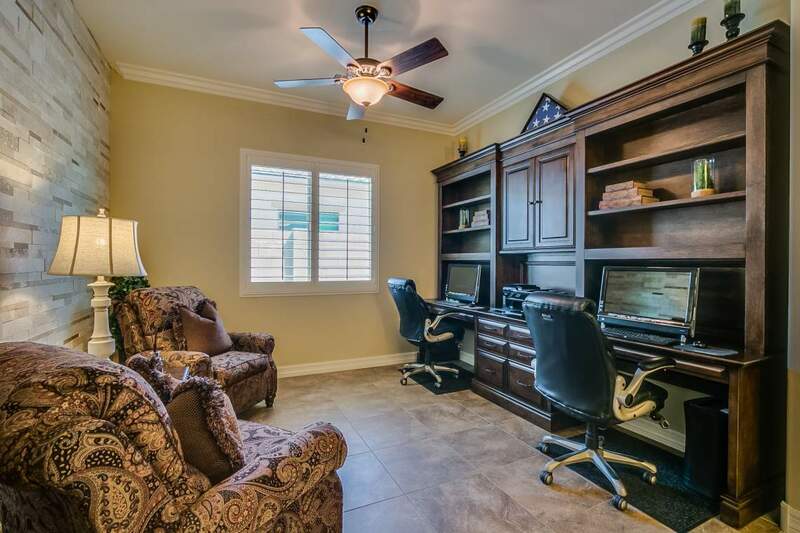 I mostly worked with TJ but had ample opportunity to work with Lacey and even Ben during... continued"